Mid-Autumn Festival, which falls this year on 27th September, celebrates the tale of Hou Yi, the archer, and his wife Chang’e. 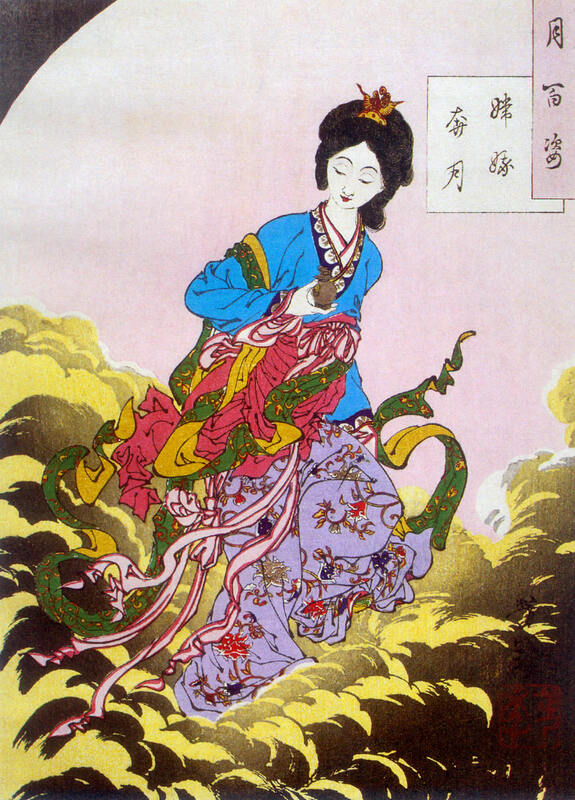 Legend has it that in Hou Yi’s time there were ten suns in the sky, the heat of which scorched the earth and burnt plants causing people great hardship. Hou Yi shot down nine of the ten suns, leaving only one for light, and the people were very grateful.